MartCoin provide no information on their website about who owns or runs the business. The MartCoin website domain (“martcoin.io”) was privately registered on October 11th, 2017. MartCoin has no retailable products or services, with affiliates only able to market MartCoin affiliate membership itself. MartCoin affiliates invest in MART points on the promise of a daily ROI (paid in MART points). Referral commissions are available on funds invested by downline affiliates, paid out via a unilevel compensation structure. MartCoin affiliate membership is free, however free affiliates can only earn referral commissions. Full participation in the MartCoin income opportunity requires a minimum $100 investment. MartCoin is yet another worthless altcoin ICO, pushed out solely to make the anonymous owners money. Gullible investors exchange real money for worthless MART points, on the usual promise of riches. Despite claiming to have a ‘clear and specific plan for Martcoin to reach $290 by the end of Q2-2018‘, there is no practical use for MART points outside of the income opportunity. The points are not publicly tradeable and cannot be used for any real world application. Ergo there’s no genuine supply and demand and MART’s value is tied to MartCoin affiliate recruitment. The lottery style ROI system is an interesting twist, although all it really does is change your typical fixed lending ROI to a variable. 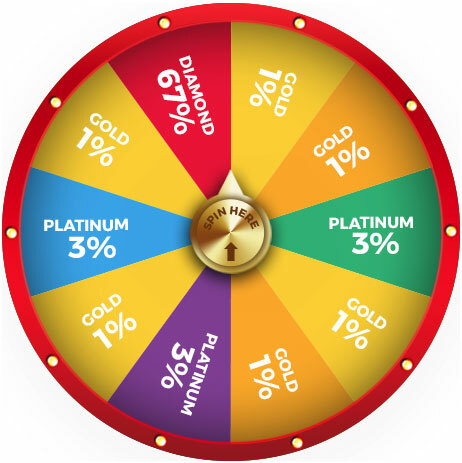 No doubt the system is rigged not to exceed a set daily cap, meaning the wheel itself is just an illusion. Or not, seeing as all MartCoin’s owners are doing is offloading pre-generated points in any event. Commissions in MartCoin are paid both through an internal exchange and on recruitment. Converting MART points into real money again through the exchange sees newly invested funds used to pay existing MartCoin investors, which is Ponzi fraud. Paying commissions on recruitment adds an additional pyramid layer to the scheme. The end-game for admins of lending ICO Ponzi scams is pretty straight forward. At that point the admins stop paying out and disappear with what’s left. To date MartCoin’s admins claim to have taken in $5.5 million USD. Early investors make a bit through ROI withdrawals while they last, and of course through pyramid recruitment. Everyone else, which is the vast majority of investors, loses out. Update 4th February 2018 – As of February 2nd, 2018, MartCoin has collapsed. As per social media commentary from MartCoin affiliates, withdrawal requests have not been going through for some time. Anything that copies a “Gladiacoin” payplan is going to fail.